The hotel is old and need renew facilities. Room look old wallpaper, restroom need upgraded. Not able to get room freshened up! Not able to get yellow cab to airport. Had to use one of there high end transportation vendors. Love the location! I wish they would invest in a few updates. I.E. Better toilets, better bathtubs. Our remote didnt have a battery cover,it had scotch tape. We didnt spend much time in the room, but if it were a little more modern, we may have. Good stay overall, though. Location is excellent. A few blocks from Broadway and Central Park. Columbus Circle a few minutes away with world renowned restaurants and shopping. Bathroom had a bad smell. Meadow type. That was horrible. The Watson is in a fantastic location! Blocks from Columbus Circle and right on the bus line. It’s an adorable neighborhood with shops and dining of all kinds. The hotel is clean. The staff was kind and helpful. Our room (king corner) was spacious by any standard - but in NYC- SPACIOUS! Both in-house restaurants offered good food at fair prices. Highly recommend this hotel! Located in Midtown, The Watson Hotel is within a 5-minute walk of Central Park and within 15 minutes of other popular attractions like Columbus Circle. This 591-room, 3.5-star hotel has conveniences like an outdoor pool, free in-room WiFi, and a fitness center. Enjoy a leisurely bite to eat at the onsite restaurant, or have a drink at the bar/lounge. Savor a meal from the privacy of your room with room service, or get a pick-me-up at the coffee shop/café. Start each morning with buffet breakfast, available for a fee from 6:30 AM to 11 AM. 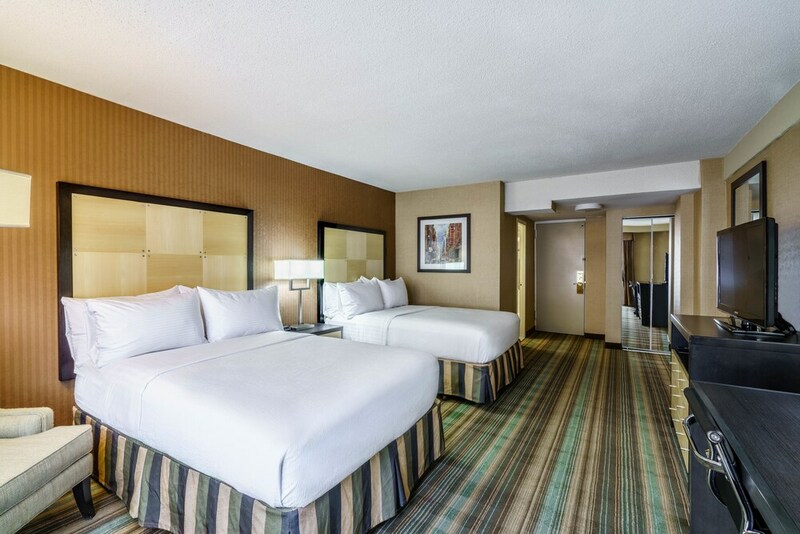 Guests can expect to find free WiFi and 40-inch an LCD TV with cable channels. Other standard amenities include a coffee maker, a phone, and an ironing board. At The Watson Hotel, guests enjoy an outdoor pool, a fitness center, and free WiFi in public areas. Valet parking is offered for USD 52 per day. Multilingual staff at the front desk are standing by 24/7 to help with dry cleaning/laundry, securing valuables, and concierge services. Additional amenities include a seasonal outdoor pool, free newspapers, and an ATM. Thank you for your feed back and stay at the Watson. Thank you for sharing your comments. We appreciate you and hope to welcome you back. Thank you for this wonderful review. Please come again. Denise, Thank you for your feed back and stay at the Watson. Recreation features at The Watson Hotel include an outdoor pool and a fitness center.